The Nation, Dec. 21, 2016 - IRAN’s Revolutionary Guards (IRGC) are being implicated in mass executions in Aleppo and taking part in attacks on civilians, including women and children, according to a new intelligence report.  The report comes from the People’s Mujahedin of Iran (MEK), part of the National Council of Resistance of Iran (NCRI) and the largest opposition group to the clerical regime that rules the country. “There is no doubt that the Iranian regime is the primary obstacle to any solution in Syria. The current situation in Aleppo and the role of the Iranian regime in the atrocities committed on the ground require the immediate expulsion of the IRGC and its mercenaries from Syria. The IRGC is the primary means of Iran exporting worldwide the ideology of the Islamic revolution. It includes the paramilitary Basij militia and the Quds Force (IRGC-QF), which specializes in foreign missions and provides funding and weapons to extremist groups. In its intelligence report given to The National, MEK said the IRGC had amassed a 25,000-strong army of Iranian and militia troops, as well as Syrian mercenaries, around Aleppo. Maryam Rajavi, the president-elect of the NCRI, said Tehran’s actions showed “complicity in the most atrocious war crimes and crimes against humanity in the 21st century”. The MEK used its network of spies inside the IRGC and the Tehran regime to build a picture of Iran’s military involvement in helping Syrian President Bashar al-Assad in power. Syrian forces are thin on the ground around Aleppo and MEK’s report said this meant Iran was carrying out most of the attacks and killings in the area. The report said: “On two occasions the transfer of Aleppo residents was hindered and their buses were fired upon under the instructions of the IRGC to gain concessions on the residents of al-Foua and Kefraya.” These are two towns north of Aleppo, where buses due to moving civilians at the weekend were torched. MEK identifies Iranian leaders in Aleppo, where they have set up bases, the foreign militias who are carrying out the killings and how Iran pays them. There is also a copy of a receipt for a wire transfer of money, showing that Iran transferred £700,000 to the Iranian Martyr Foundation in Damascus to pay Syrian mercenaries. It also claims that the IRGC established a headquarters at Fort Behuth, 20 miles south of Aleppo, where a terrorist group Lebanese Hezbollah, is also based. Assad had previously used the garrison for the production of chemical weapons, ammunition, and missiles. MEK said the IRGC-QF was also commanding militias from Iraq, Afghanistan, and Pakistan. Rajavi added: “These are irrefutable evidence showing the full responsibility of high-ranking officials of the Iranian regime in the biggest crime against humanity in the 21st century. “The mullahs’ regime are the main source of the crisis in Syria and the region which, by misusing the inaction of the international community and being convinced of not being held accountable for its crimes, has continuously become more emboldened.